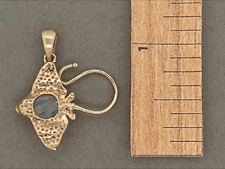 Beautifully rendered spotted eagle ray with a multi colored fiery Australian Opal. 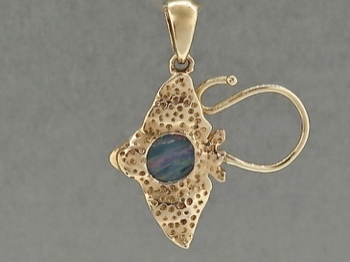 This opal has lovely layers of red, green, yellow and blue. 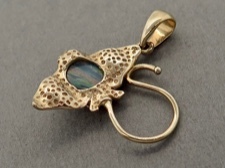 Handmade on St John by local artisan, Tom Krall. His love for the Caribbean and the wonders within it are apparent in his careful, loving details. Please see below for a size reference.